I’ve Building Businesses, Increasing Response, Finding Big Ideas, Creating Spectacular Results & Today Premium, Personal, one-on-One Mentoring. For Over Three-Decades. Today, I Mostly Offer High-End, One-on-One Mentoring For Single Entrepreneurs or to In-House Experts That Need More Edge. But … This All Began In 1985. I had to create my first ‘advert’ in 1979 for my punk band, Clone Youth. It filled the Parish Hall in Warrington and we played a live gig to over 400 happy punks (and I got the girls - singers always do!). In 1985, I created an advert for my hairdressing business as I had been fired and urgently had to work self-employed. I had been fired for cutting a girl’s hair using broken glass. That was my last ever employment. 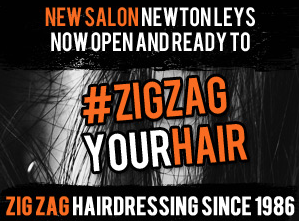 By 1989 I had signed a 7-year lease and opened my first brick and mortar hairdressing salon. I had to fill it, I created flyers and Ads and the salon eventually filled. By 1994 I had become a master of direct mail and mailed out literally over one million of pieces over the next 17-years. I also had become an expert at testing what was working and what wasn’t working. My Ads, flyers and campaigns using billboards and more had become almost legendary and annoying in the local community of 125,000. I should say at this point I had a classic car. It was a 1976 VW Super Beetle in 1976 ‘summer of love’ orange that I had bought in 1993. Not only was my marketing prowess becoming famous in the town it was become admired by many in the industry and outside the industry. I made sure every single client entering my salon knew about my salon, knew why we existed as a business and knew that we loved our clients. Every client regardless of who they are received direct mail at least once every six weeks without fail. I’d had zero training to do this, I did what made sense. Eventually, I started getting asked to give advice and create letters or other marketing materials, advice and strategies for my salon clients. 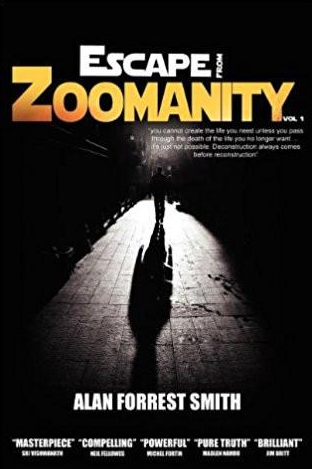 During that period from the mid-90s, I had created a direct marketing campaign that sold over a million pounds worth of cars in just 21-days. I generated over £800,000 for a cosmetic company. Sold hundreds of thousands of software for an accountant, created a campaign that almost emptied the warehouse for a UPVC window company and this was when I was just a hairdresser. This might have been accidental but it was also a proven system I used from my hair salons. While all of this was taking place my salon was packed, I was building a house, new kids kept arriving and I opened 3 hair salons in the process. By the late 90s was getting incredibly busy advising and consulting clients in between hair clients and trying to keep my salons busy but it wasn’t paying as well as what would eventually be known as ‘Orange Beetle’ and honestly, I wanted to get off the shop floor from cutting hair as my back was always killing me. One day I drove to meet a new client named Dave. He was yet another accounting client that had been referred to me. He came out to meet me after hearing the thundering VW engine and proclaimed … Ah, the man with the famous Orange Beetle. It was time to name this new business so Orange Beetle it became. 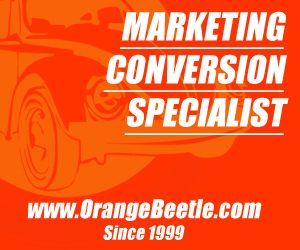 Orange Beetle began its new life officially in 1999 as a consulting direct marketing business. By 2001 I had become very well known for some huge results delivering direct mail campaigns. It felt as though most of my new campaigns were delivering over a million in sales time and time again for clients. When it wasn’t that high the conversion rates were. 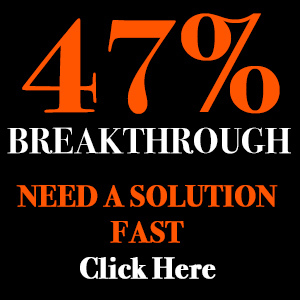 One at 47% is a number very hard to beat. By 2003 the web had really started opening for me and most of my work had now become writing copy and creating the strategies and offers around that copy. I was still doing a lot of other consulting and direct marketing work in the background for every bit of advice I was giving. In that same period, I had started writing for a lot of very well-known marketing greats like Jay Abraham and many, many others. This led to writing my very first multi-million-pound sales copies for over a dozen different entrepreneurs including share trading, health products, property, cars and the computing industry. By 2005 I had started to receive phone calls and emails from all over the globe with invites to speak and train others. This took me as far as New Zealand, Australia, Asia, Europe, USA and many other far-flung or exotic places. At this stage demand was so high I literally couldn’t take all of my clients so I decided to re-invent and focus Orange Beetle into a highly specialised result-driven service. Smaller campaigns, bigger results and more thinking. By 2009 after a lengthy, painful and horrible divorce, related stress and illness that led to a forced bankruptcy I had to relaunch Orange Beetle. By 2010 Orange Beetle refocused once more on my now famous BREAKTHROUGH services. I understood the mind of any buyers, I understood the internal conversations, I knew what the eye wanted and their triggers within the mind. The results were astonishing for me and getting a life back on track but also for my clients. My workload had decreased on purpose with the aim of working with just one or two clients per year. My results have hugely increased. By 2011 I felt the market had changed dramatically. Clients now knew more than ever but they didn’t have what I call THE EDGE. They couldn’t have a grasp on the finer details of the response. This pushed forward something that I have always done but now the demand had become even greater than ever. So, Orange Beetle – by demand – had started to focus more on MENTORING rather than services. I was now sharing my three decades of front-line, testing, researching, reading, experiences and hard-won accomplishments and results over a desk and coffee on a one-on-one basis with clients. This is high-end but the results have been mind-blowing. For example, one script created with a client converts at almost 100% over the phone. 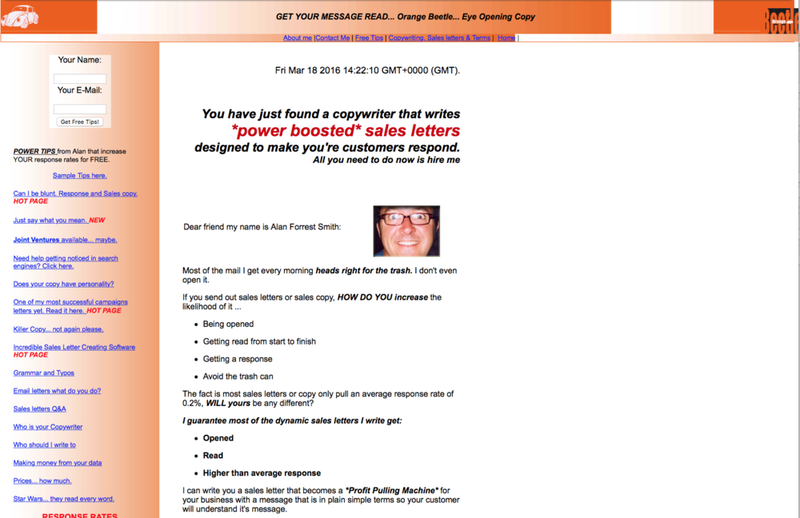 Another series of small Ads created with another client created over £300k in sales every single month with his conversions at 49.2% Another client kick-started his website, refined the words, the conversation and his strategies only to build an annual income of $12 million as of writing this letter. The power of mentoring was delivering results as I had never seen before. I loved it. The clients loved it. By 2012 Orange Beetle has become more premium advisory and high-end results driven mentor. I was now attracting huge corporations that simply wanted to pay for cutting-edge advice rather than hiring an expert. This meant I could be put on a plane, train or picked up in a car. Delivered to a corporation to listen, review, lecture, train or redirected stuck campaigns. The effect was incredible. One company went on to float on the stock exchange. The UK’s biggest real estate company now had marketing that converted rather than marketing that simply looked good. I had become recognised and demanded as a premium expert that knew the marketplaces, understood thinking, delivered ideas and gave highly converting campaigns. Orange Beetle had now become a priceless asset for any one person, company, corporation that wanted more from what they are doing. Today in 2019, Orange Beetle specialises in higher response, higher results, and more edge, through expert mentoring and valuable directions that have literally transformed the fortunes of small and large businesses. After 21-days working with one client, they experienced a turnaround of 223.7% increase in takings. 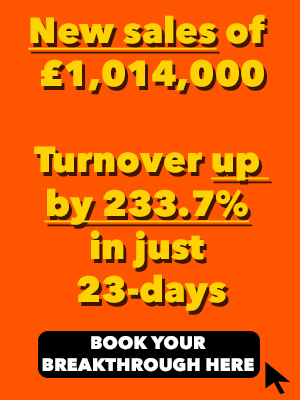 Another increased their turnover by just over 90% over a 12-week period. And yet another started his own business and replaced his wage in just under 5-weeks. Orange Beetle has been around a long time. The car has gone but the machine has become more and more refined. Not too long ago I thought about retiring the machine and moving on. 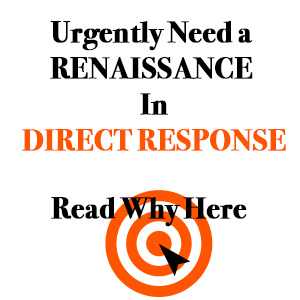 I had become distrustful and alienated from so many marketers especially in the digital arena. I took time out and questioned everything by peeling back the layers and asking more and more questions. It all comes back to one thing. Everyone in business deserves to do well and get the dream they set off in their mind. This goes back to even more basics. I also had an awakening moment which was this. Never in my own life history has Orange Beetle become so critically important for the business that really want to thrive. With so much disinformation and public distrust of companies driven by social search, clients were coming to me with the same issues and it was this. So today, Orange Beetle is at its most powerful, almost nuclear in its engine offering cutting-edge, breakthrough, current and results-driven mentoring that continues to deliver results after results. That means for you, not just copy, not just a plan or a simple route but a more bespoke, change as we go, common-sense approach that is currently delivering results as I’ve never seen before (I’d say £300k per month for one client is a good results wouldn’t you?). Yes, I still write copy at a premium rate if the deal and payment is right but my main focus is getting results for clients and using any means needed through mentoring. 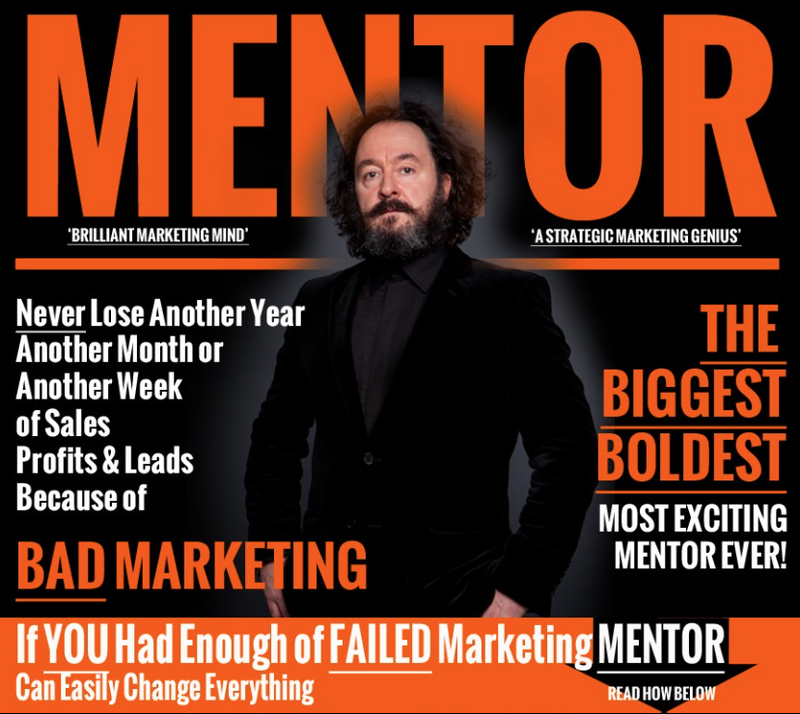 If I had to tell you where Orange Beetle is right now I would say… mentoring results like never before. Maybe that is why one of the biggest haulage companies in the Republic of Georgia recently invited me to present a talk to their highest level executives on growth and change. The talk is a new talk I created that I call … I AM THE FUTURE. It would be so easy for me to dismiss this powerful machine yet with over three decades of front-line, business building, results-driven experience I think it would be a great disservice to the world of business in general especially since the results, transformations and changes I see in my clients business are even more dramatic than ever before. And more to come as my wife has announced we are having a new baby – me at 56-years of age becoming a father again. Maybe this is the upgraded version of Orange Beetle that will be needed in the future. Are you ready to create your future right now? "Alan you have a brilliant mind most would die for"
Ps - I wanted to add this below as Jay not only was the ONLY inspiration that helped me build my hair salons from 1989 onwards with his ideas in Guerrilla Marketing but we eventually become friends from 2008 onwards when I bumped into him in the USA. Not only was the modern day inventor of marketing but he had some nice things to say of me I wanted to share on this history page. The photo below is when he flew over to visit me in Manchester, U.K. where we ate and talked all night.